Here at Ink n Toner UK we like to keep things simple when it comes to printer cartridges. Use our straightforward website and receive cheap inkjet cartridges or laser cartridges for any printer anywhere in the UK or Europe. Once your order is placed we will wrap it up and ship it out with the option of SuperSaver 100% Free Delivery. We are one of the leading printer cartridge suppliers online with unrivalled customer service and the most competitive prices around. For a hassle-free transaction find your ink cartridges and toner cartridges with our easy cartridge finder (above) or call us on 020 8216 5571 to speak to one of our friendly advisers. Need printer ink supplies? 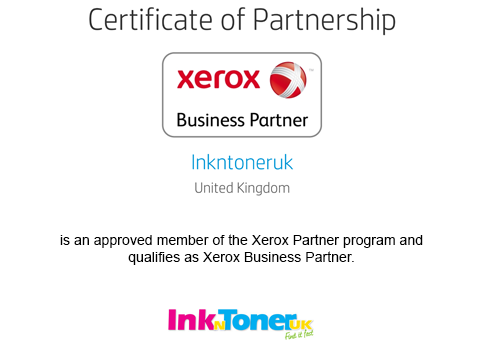 Think Ink n Toner UK. Excellent service. Swift delivery of order. Accurate and clear documentation. A little disappointed that faulty cartridges are only guaranteed for 6 months. I bought 2 packs and when I loaded one from the second pack the printer would not recognise it. I was told on the phone that it was more than 6 months since they were purchased and so could not be replaced. Great customer service, value for money, speedy postage and if something isn't in stock, you are kept in the loop. 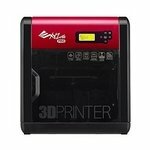 If you are looking for a cheap ink cartridge for a particular printer, Ink n Toner UK is glad to tell you that we have the cheapest ink and toner for printers and the widest selection of HP printer ink cartridges, Canon toner cartridges and Epson toner cartridges, as well as the lesser known printer cartridges such as Sharp toner cartridges, for sale. 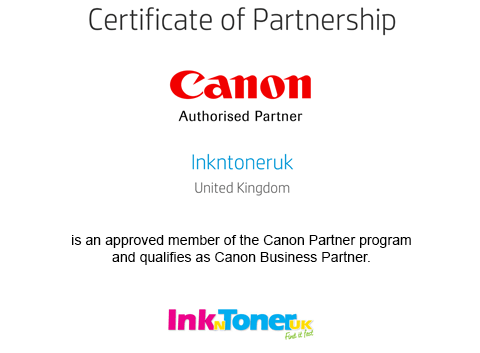 At Ink n Toner UK we are committed to making your online shopping experience as easy and pleasant as possible. With only a few clicks you can order and re-order your printer consumables and enjoy 100% secure online shopping. We supply the highest quality inkjet and toner cartridges with no cheeky hidden charges. VAT is included in all our product prices so you only have to pay the price that you see on screen. There's no catch! 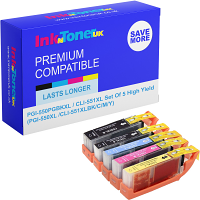 Paying expensive high street prices for your ink cartridges is now a thing of the past. Online shopping has changed the way we shop completely. It's less hassle and saves on precious time and money. We hold a huge range of ink cartridges for HP printers, a vast range of popular Epson inks and Canon ink cartridges in our warehouse. We also keep excellent stocks of Brother, Dell, Kodak, Oki, Lexmark, Olivetti, Panasonic, Philips, Samsung, Sharp, Xerox and even Ricoh Gel Ink cartridges. Whenever we receive an order we are able to dispatch it the very same day as long as you place your order before 4.45pm. Original laser toner cartridges ensure that you produce outstanding quality prints. They are extremely useful for professional business designers where graphics and vividness is essential. 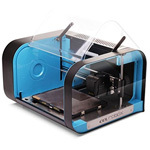 We have Brother and HP toners for thousands of different Laser printers on our web site and we add the latest printers to our site as soon as the laser cartridges become available. With a range of this calibre you can rest assured that we have the latest printer cartridges, as well as the older ones, in stock. 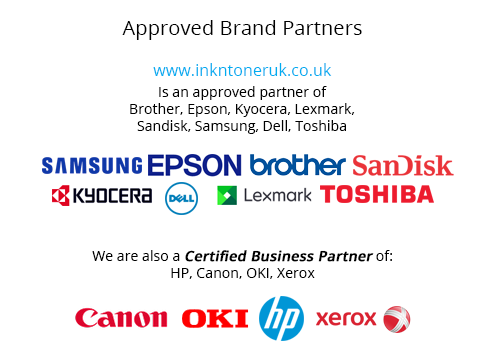 Our compatible ink cartridges are professionally manufactured following the highest standards and guidelines. We professionally recycle ink cartridges ourselves using highly specialized equipment and take great care to ensure that a remanufactured / recycled cartridge will exceed your expectations. That is why when you print with our compatible cartridges the print quality will match the quality provided by originals, but with the added benefit of outstanding value for money. We offer many different brands of compatible ink cartridge including Advent ink cartridges. The vast majority of genuine Lexmark Toner, Kyocera Toner, and Oki Toner cartridges listed on our web site include alternative options in the form of a “Premium Compatible cartridge” and/or a “Value Compatible cartridge”. What does this mean? It means that our customers can choose whether they want to buy original toner cartridges or go for compatible (non-original) laser cartridges and save a lot of money in the process. These options are available for many other brands, like Dell, Konica Minolta, Olivetti, Panasonic, Philips, Ricoh, Samsung, Toshiba and, last but not least, Xerox Toner Cartridges. 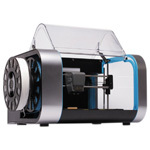 The main reasons to use remanufactured toners is the cheap price but also the considerable benefit to our environment. With every cartridge taking many many years to dissolve, it makes sense to rethink your printing habits and necessities. A lot of in-house printing does not require cutting-edge printing quality and so it is worth trying out our cheap but high quality Compatible toner cartridges. After all, you have nothing to lose. 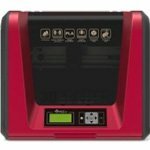 The Original Equipment Manufacturers (OEM’s) have gone out of their way in an attempt to stop people buying compatible printer cartridges and so it is advisable not to install the latest updates for your printer and ignore the false warning messages if you want to continue to save money on compatible toner cartridges. 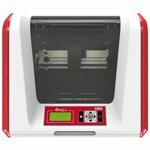 Whether you are looking for ABS, PLA, PETG or PVA-M filaments, we are certain that we can meet and exceed your requirements with our huge range of 3D printer filaments. 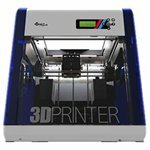 We offer filaments by Robox, Verbatim, XYZ Printing, 3Doodler and also our own money saving Ink N Toner UK Compatible 3D Filaments. 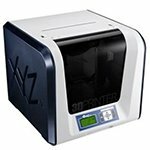 Ink N Toner UK offers a comprehensive range of Dymo and Brother label tapes, as well as Leitz. Our superb Original and Non-Original franking cartridges will save you money. Ink N Toner UK is able to supply franking cartridges for Pitney Bowes, Frama, Francotyp Postalia (FP) and Neopost. 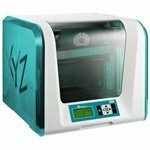 3D printers are at the cutting edge of printing technology and Ink N Toner UK offers the best in the business from manufacturers such as 3Doodler, XYZ Printing & Robox. If you're looking for a specific type of photo paper or even a particular brand, Ink N Toner UK will have what you need right here. Here you can find photo paper rolls and other more specialist types of photo paper. You can also search by size or even specific brands like Brother, Canon, Epson, HP, Inkrite, Kodak, Mirror, Platinum & Pro-Jet. If you need Flash Drives, SD Cards, Micro SD Cards or even Portable Hard Drives Ink N Toner UK has a huge range for you to choose from. Brands such as Integral, Lacie, Maxtor, Sandisk, Seagate, Transcend and Verbatim are here in abundance. At Ink n Toner UK we like to reward our loyal customers and to show our appreciation we add reward points to your account every time a purchase is made. This contributes to your savings immensely by discounting your next purchase. Sharing is caring so if you share this information with your friends and they go on to buy our products from us, you will receive an additional 500 reward points. That’s £5 for every friend that you recommend and the best part of it is that there's no limit on how many friends you can recommend. How cool is that? Simply put, you do not want to miss out on our special offers. We have weekly special offers, freebies, and coupons with discounts for our customers. The easiest way to keep up to date with our monthly offers is to subscribe to our newsletters or like us on Facebook or Twitter. All of our products are delivered free of charge and dispatched the same day. Place your order today and you are 99% sure to have your printer cartridges delivered to you by tomorrow. We have a number of delivery options available. If you want your inks and toners guaranteed next business day, then Next Business Day Guaranteed is available. Just select appropriately in the checkout. At Ink n Toner UK we understand that things don’t always go as planned. You might make a mistake while ordering or you might not be completely satisfied with your purchase. That is why our service is 100% risk free. If for any reason you are unhappy with any products our returns policy ensures a 100% refund (*see Terms & Conditions) – there’s no hard feelings. Customer satisfaction is our top priority and we welcome constructive criticism and encourage customer interaction via e-mail, chat, and phone. Allow our first class customer service to handle any issues that you might face. Once you are satisfied with the transaction you can share it with the world through an independent feedback company called eKomi to leave positive, neutral or negative feedback. However if you are unhappy with something, simply speak to an advisor about any product related issue through our superb online chat. We will certainly do our best to find the right solution. 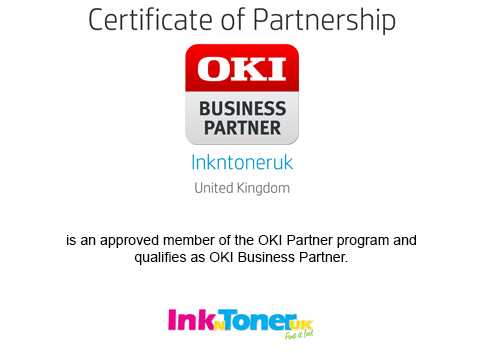 Thank you for your business and we hope you have a pleasant shopping experience with Ink n Toner UK.